Get your day off to a flying start! We’re so excited to introduce our new breakfast menu. In France, we love to start the day with a delicious breakfast (whether healthy or decadent!) of crêpes like honey and banana, or galettes like bacon, eggs and avocado. Our galettes are made with home-milled buckwheat flour that’s gluten free and nutritious. 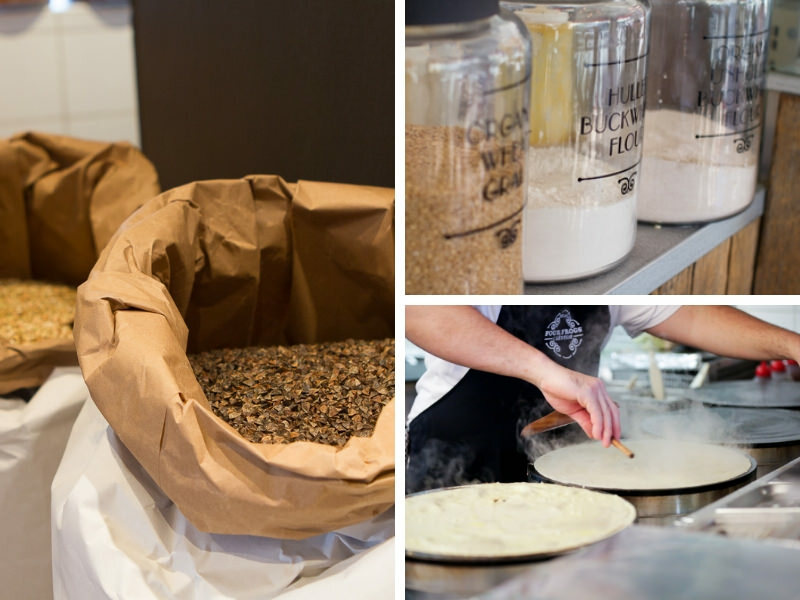 Our sweet crêpes are made with wheat flour (or buckwheat flour on request). 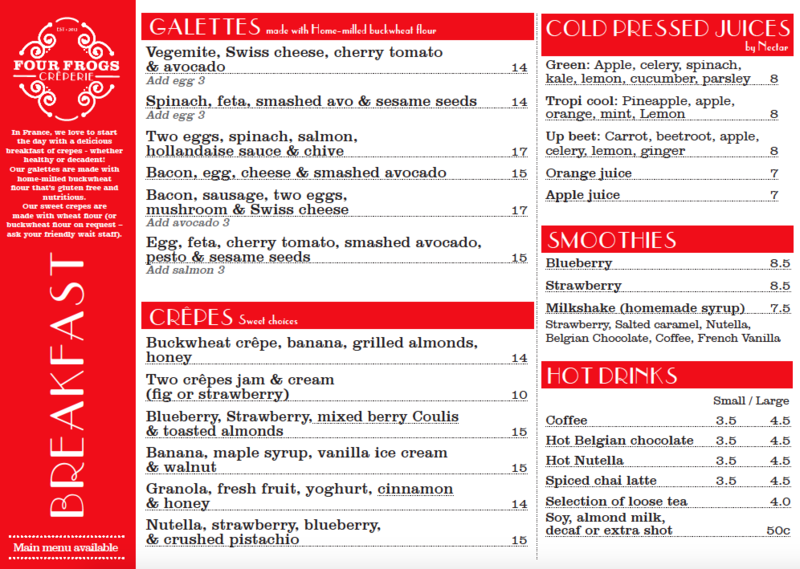 Our crêperies are open all day, and the breakfast menu is available at all our crêperies until 11.30am. Please check our opening hours for more information. We’ve also included a selection of refreshing cold pressed juices from Nectar, smoothies, and of course, our barista-brewed coffees for your enjoyment. Buckwheat hosts a variety of nutritional benefits in addition to being gluten free, one of which is its significant amount of fiber. It’s also chock-full of proteins, vital vitamins and minerals. To top it all off, we mill our buckwheat flour in-house with the hull on to maximise the flavour and nutritional benefits. It really is an ingredient that creates a breakfast for champions! View our breakfast menu online here.